Your Site is Finally on Google News? Not Forever! 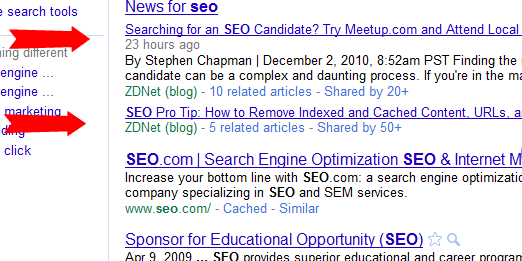 Getting included in Google News database is not an easy task. Their guidelines are not that clear and sometimes it appears that you have to do something special to get listed. Here is an example of our communication with Google regarding the matter. Doesn’t make much sense, right? In looking at a search today for search engine optimization- the results include a bunch of posts from ZDnet (screen capture included). These posts are really along the lines of what we post, but written by one man who proclaims himself to “NOT” be an SEO expert? Thank you for your reply and for providing us with this additional information about your site. As we previously mentioned, the articles in Google News report on recent events. We currently don’t include informational and how-to articles, classified ads, fictitious content, job postings, event announcements, or advice columns. Thanks for your interest in Google News.